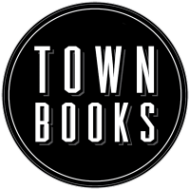 Come visit TOWN BOOKS, a used bookstore run by the Friends of the San Anselmo Library. We stock over 1,000 books, DVDs, and CD audio books in a wide variety of genres: Fiction, Cookbooks, Art books, Classics and many more. We have hardbound books, paperbacks and many best-sellers. We also have a wonderful Children's section with both picture books and chapter books and a Teen section as well. We have a constantly changing inventory and you'll find new books every time you visit!